In all public relationships, AA’s sole objective is to help the still-suffering alcoholic. Always mindful of the importance of personal anonymity, we believe this can be done by making known to him, and to those who may be interested in his problem, our own experience as individuals and as a fellowship in learning to live without alcohol. We believe that our experience should be made available freely to all who express sincere interest. We believe further that all our efforts in this field should always reflect our gratitude for the gift of sobriety and our awareness that many outside AA are equally concerned with the serious problem of alcoholism. This statement reflects a long-standing AA tradition of not seeking publicity for promotional purposes, but of always being willing to cooperate with representatives of all media who seek information about the recovery program or about the structure of the Fellowship. 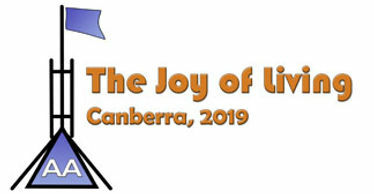 In Australia, information and public relations matters affecting the Fellowship of AA as a whole are the concern of the Public Information Committee and the Committee on Cooperation with the Professional Community of the General Service Board of Alcoholics Anonymous. NOTE: In many areas of Australia, AA members have established committees on public information and cooperation with the professional community, to assist local media in obtaining accurate information about the Fellowship. Background material on AA may also be obtained upon request from these groups.